Sundays are rest days for most people. No need to wake up and get up early because one can just chill, stay in bed, and feel the weekend. But for siblings Jewelle Mae and Jhad Mattheus Macatangay, it was a different Sunday. It was a different “chill”. The two Macatangays woke up early, earlier than the sun can rise, to participate in the 3rd Verde Island Passage Open Swimjunkie Challenge at Punta Malabrigo, Lobo, Batangas. 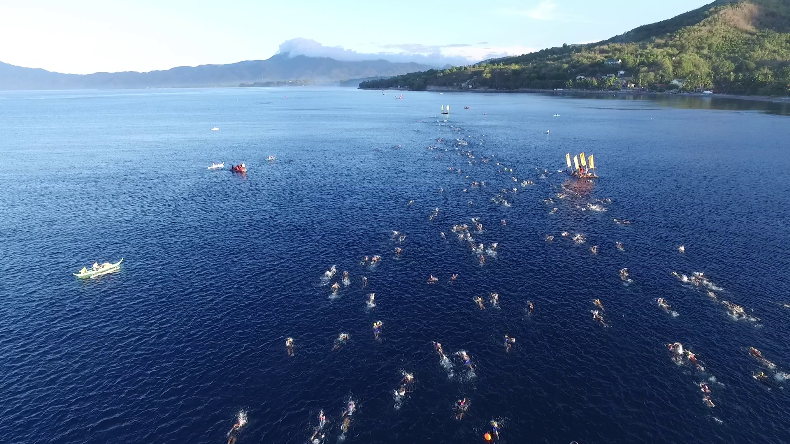 The VIP Open Swim aims to raise awareness and continue to protect and preserve the Verde Island Passage which is dubbed as the “center of the center of marine shore fish biodiversity”. It connects Batangas, Marinduque, Oriental Mindoro, Occidental Mindoro, and Romblon. VIP is a home to more than 1,700 shore fish species, over 300 species of corals where 8 species are considered rare, three species of turtles, and 100 new species were discovered in 2015. 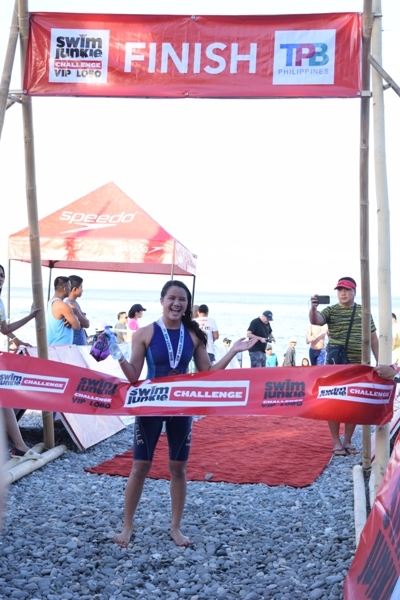 Also, the swim is regarded as an important advocacy event because this was initiated from the multi-sectoral fellowship in Lobo among private and public sectors committed to the protection of the environment. 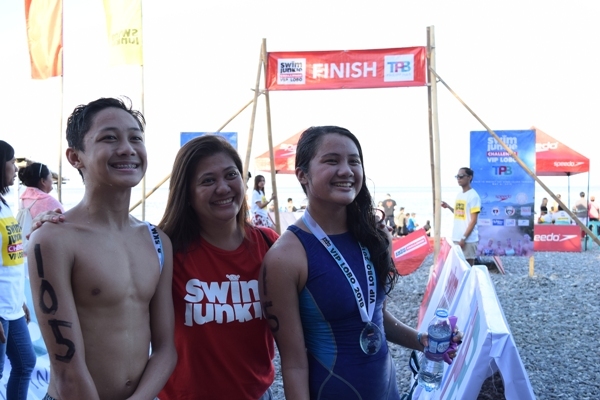 Though they had a hard time sleeping due to the weather, both of them led the race and emerged as first placers for 2.5km swim. Jewelle for over-all female category while Jhad for over-all male category. Each year, the number participants of the race continue to increase where locals and swimmers from different countries attend. This year, 280 swimmers joined the race. Also this year, two more Swimjunkie challenges will be held. The first one will be in El Nido in June and the other one will be in Caramoan in August. Lobo, Batangas is one of Bantay Kalikasan’s assisted communities. In 2015, BK, in partnership with First Gen, started developing Lobo as one of its ecotourism sites where organic farms were set-up and being managed by people’s organizations. After two years, a new ecotourism site was developed -- the Lagadalarin Mangrove Sanctuary. It is a place where one can plant mangroves, conduct coastal clean-ups, experience boating, and taste sumptuous all natural food prepared by the people’s organization. Events can be held at the place as well such as weddings, baptismal, debuts, and teambuilding activities. This year, it will become a new diving site. Two divers were also recognized during the VIP Open Swim awarding. Sonny Badal and Bryant Christopher Canatuan recently passed the certification as dive masters. Soon, they will start to guide divers in Lagadlarin Mangrove Sanctuary. The VIP Open Swimjunkie Challenge in Lobo was made possible in partnership with Bantay Kalikasan, Department of Tourism, First Gen, Hyundai San Pablo, Wilkins Pure, Akiko Thomson Swim School, Speedo, Toby's, Philippine Sports Commission, and Lobo LGU.